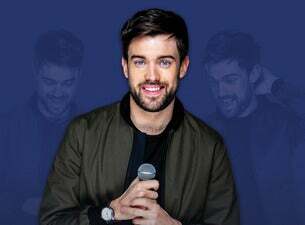 One of the most popular stand-up comics in the UK, Jack Whitehall is heading out on his largest ever tour this winter. Called Jack Whitehall: Stood Up, the huge arena tour is his third, following 2014’s Jack Whitehall: Gets Around and 2017’s Jack Whitehall: At Large. Alongside his stand-up career, Jack is also an in-demand actor. The Londoner was most recently seen in Lasse Hallstrom’s The Nutcracker and the Four Realms, starring opposite Keira Knightley, Helen Mirren and Morgan Freeman, and in 2020 he's set to appear in Disney’s Jungle Cruise opposite Dwayne Johnson and Emily Blunt. Jack actually landed a role in another of Disney’s biggest films, the animated musical fantasy Frozen. He provided the voice for Gothi, one of the Trolls – but unfortunately after editing only about two lines of his dialogue ended up in it. Many people recently enjoyed Jack’s Netflix show Travels with My Father. Now in its second season, the show features Jack and his father Michael touring the globe, clashing over what they want to see and do on their travels. More of Jack’s television credits include Decline & Fall, Fresh Meat, Bad Education, Backchat, A League of Their Own, Stand Up for the Week and Live at the Apollo. An established presenter, Jack is due to host the 2019 BRIT Awards this month for the second time after an acclaimed debut hosting the event last year. The Jack Whitehall: Stood Up 2019 tour kicks off this November and visits cities across the UK through December.